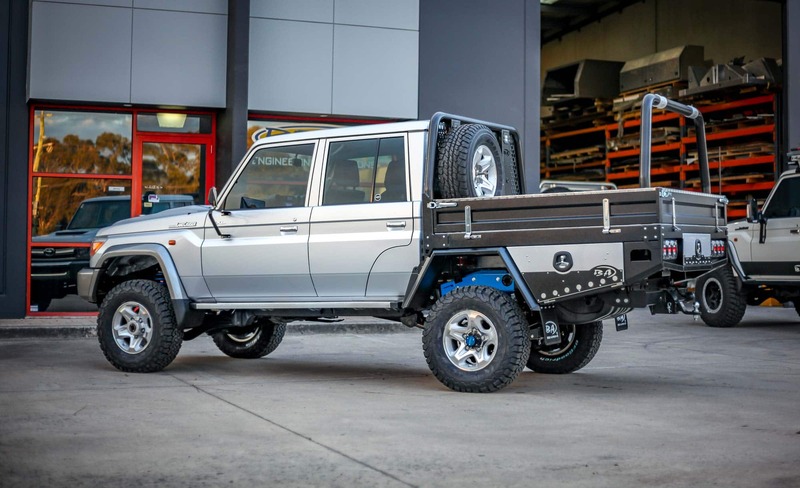 Fully customised design and construction to create the ultimate work or play vehicle. Secure mobile storage, easy access and tough protection for all your tools. Boss Aluminium are leaders in engineering superior solutions for commercial and recreational vehicles. We design and manufacture aluminium canopies, trays and tool boxes. 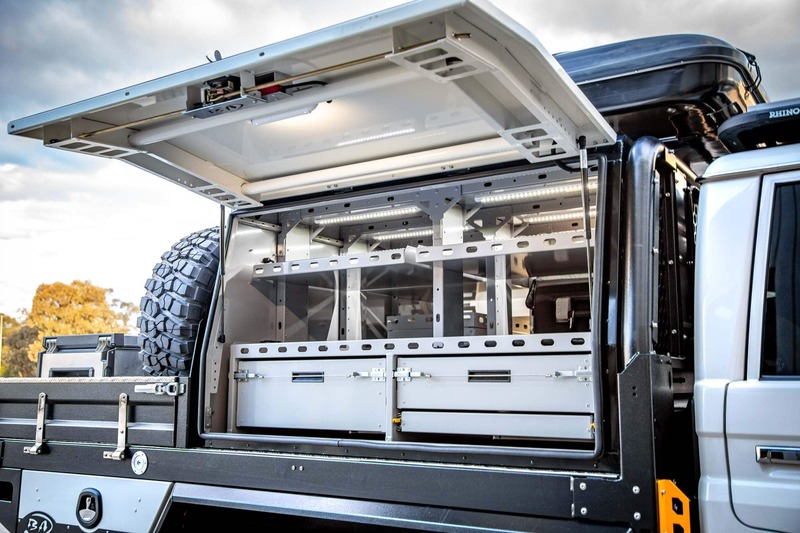 We also complete modifications such as chassis extensions, 6×6 conversions and coil conversions. Our products are delivered with a lifetime guarantee and are 100% Australian made. 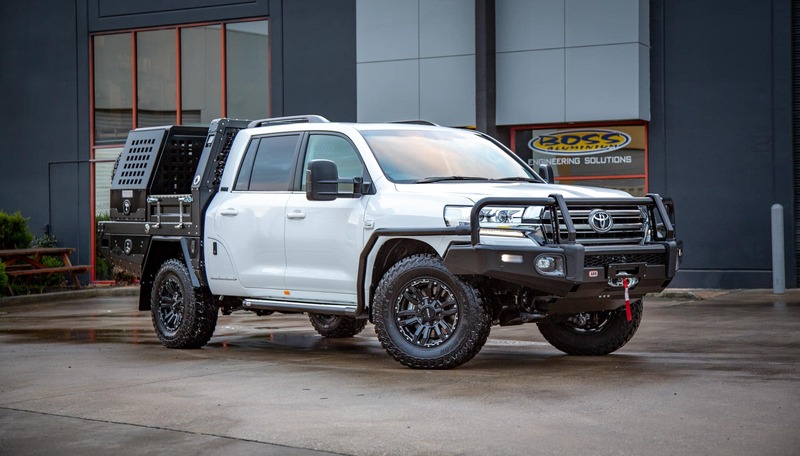 With over 20 years experience in designing and building to meet the demands of heavy duty applications and our rugged Australian terrain, we’ve got what it takes to bring your dream vehicle to life. The Toyota 70 Series LandCruiser is widely regarded as the most reliable and capable four-wheel-drive available in Australia. With a JMACX coil conversion, they become a completely different beast. Need a ute to rely on during the working week, but ready to rock for the weekend? Let us know exactly what you need, and we can make it happen! Increase your payload capacity, maximise your storage space and never worry about a thing with BA’s Lifetime Guarantee.